Setting a perfect dinner table is an art form. Not only do you have to arrange florals, mix and match serveware, and set the mood with lighting, but you also have to create a strategic seating plan. You may be lucky enough to have dinner guests that don’t need arranging, but if you’re like most people, you won’t want to sit your mother-in-law next to your inappropriate brother, for example. Ensure lively conversation (and no awkward interactions) by giving your guests a subtle seating suggestion. 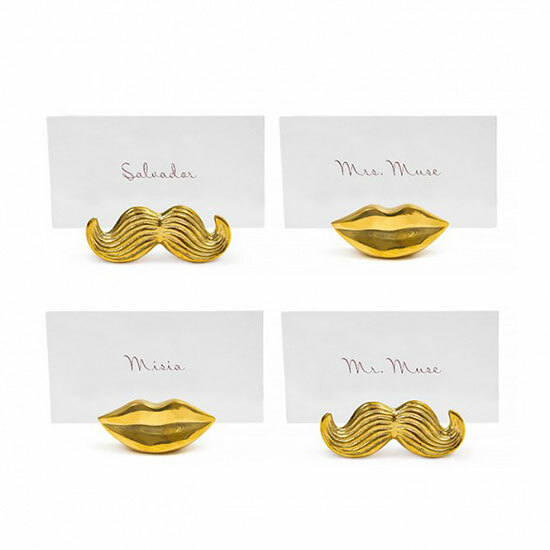 Take your pick from the best place card holders money can buy.